Just realized that it is already mid week. Weekend is just two days away. Wow!!! Actually am excited as it's my marriage anniversary over the weekend and I am looking forward to spending it with my hubby. Hope you also have some nice plans in place for the weekend. I decided today morning that I should start doing nail of the week posts. Generally, I have a single nail color for the entire week, as I don't find enough time in between to change my nail color. This results me in testing nail colors for a whole week and indirectly their lasting power. So, I thought why not share my finds with you guys. 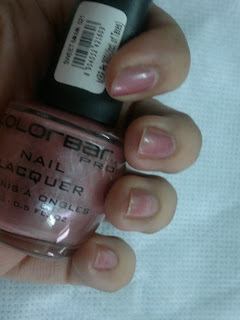 So on with the nail color for this week, it's ColorBar Pro Nail lacquer in Sweet Mama (021). It's a very soft pink with silver shimmers. The price is INR 300 for 15 ml of the product (quiet a lot in my opinion). Honestly, I thought this was too expensive but went ahead and bought it because it matches exactly with my Benaresi saree, I was intending to wear for an upcoming wedding. The packaging of these nail paints resembles OPI oh so much.Also, they have provided these nails paints with a pro-wide brush for easier application. 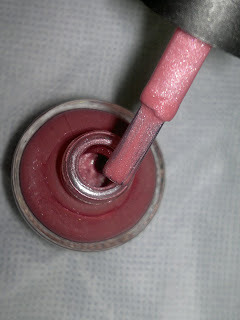 Applying this nail paint was just so easy peasy with this brush (really helped). Just place them brush at the base of the nail and move towards the tip of the nail, the brush covers your entire nail in one go, and saves so much time. Then just as easily apply the second coat, once the first one dries. Here comes the nail paint on my hands. As you can see I have had this on my nails for 3 days now. But there is only slight chipping at the ends of the nails but not too much. I generally ignore this much chipping, and am sure that this nail paint would last me for two more days. The nail paint dries super quick as well. It went from wet-to-set in 5 minutes flat. No smudging, no streaks and I just got awesome nails. Also the shine of the nail paint remains as it is (maybe because of the fine shimmers) Love the color and the shimmers make it more awesome. 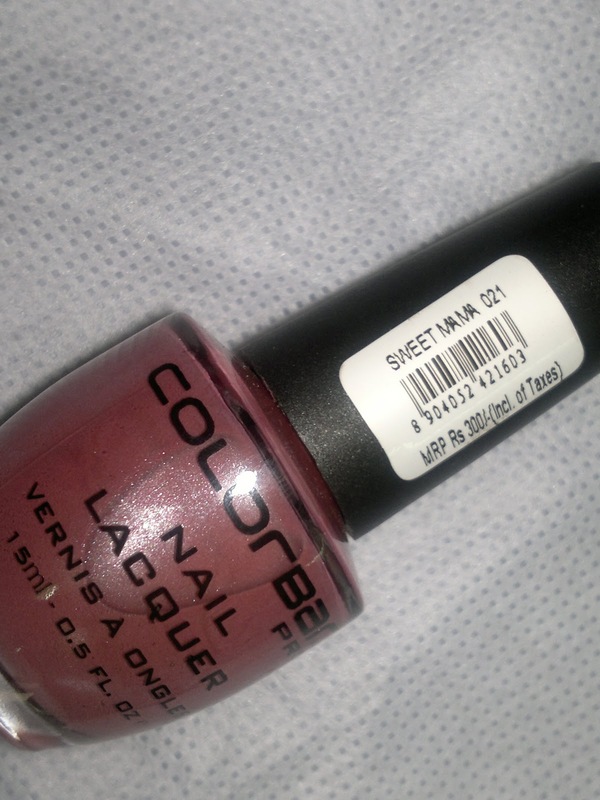 The nail paint is available only at ColorBar flagship stores across India. I got mine from Select City Walk (Saket, Delhi). There were around 30 different shades to choose from (to match your mood as well as clothes). So all you ladies, I would say this is a decent buy (the cons in my opinion being the price and availability). I really love some of matte shades in this range. 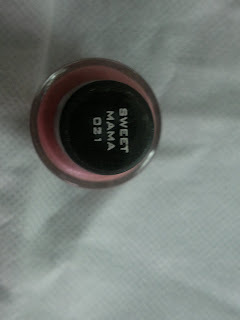 yes, it does resemble OPI and to my surprise this range is priced at Rs 350 in Select City Walk. Thanks for the review.